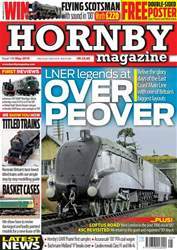 An exclusive first review of Hornby’s soon to be released Class 87 overhead electric for ‘OO’ gauge headlines the latest issue of Hornby Magazine along with Heljan’s GWR ‘47XX’ 2-8-0 and Hatton’s new Beilhack snowploughs for ‘OO’. 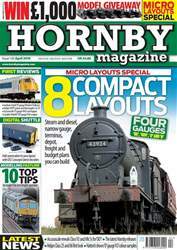 We also have full details of Hornby’s mid-year model announcement, a full report on Hatton’s new ‘OO’ gauge Class 66 project and much more. Add to that three stunning layouts covering the Eastern Region in the 1950s around Wakefield in ‘OO’, the West Coast Main Line in ’N’ gauge and a Cornish freight branch in 4mm scale and there is plenty of variety inside. 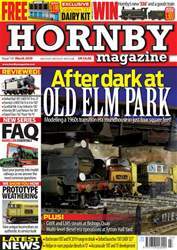 Our model makers have been hard at work, too, developing guides to installation of overhead catenary, weathering mineral wagons, building a 3D printed kit for a cut-down Class 08, installing sound in a Hornby ‘King Arthur’ 4-6-0 and more. 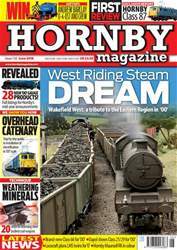 Plus, we have an exclusive competition to win a Hatton’s Andrew Barclay 0-4-0ST, a preview of the Great Central Railway Model Event in June, prototype features, Staff Projects and more. Don’t miss it!